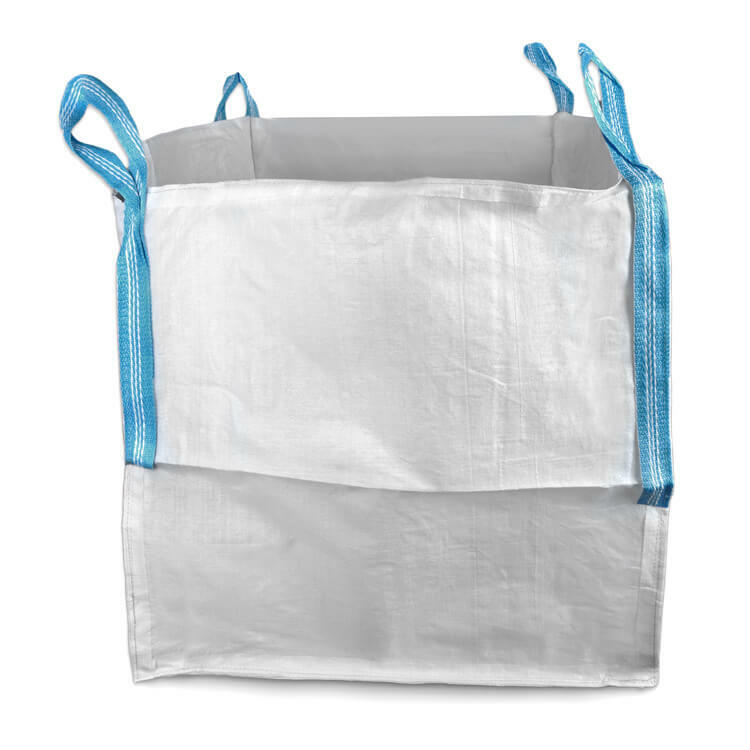 FIBC (Flexible Intermediate Bulk Container) bags are made from a thick, woven polyurethane with a UV enhanced finish. They can hold a little over 2,000 pounds and fit 1 cubic yard of volume, but keep in mind that they’re not waterproof. The handles on the corners are used for lifting heavy loads with a forklift. These flexible bulk bags are designed for storing and transporting goods such as sand, fertilizer, granules of plastic, and other industrial products. Some FIBC bulk bags have 1 or 2 lifting loops, ours all have 4. This makes it easy to lift heavy loads using transport hooks. Though they can hold over 2000 pounds of material, an empty bag only weighs about 3 pounds. Our bulk bags are about 35 inches square, but that’s not an exact measurement. The true dimensions are listed on the individual products. Safe working load and factor of safety is based on first time usage. Reuse potential is strictly dependent on conditions of use and strictly at the user’s risk. It is strongly suggested to cover the bag when exposed to bright sunlight if possible, as the fibers will weaken very slowly over time. Emptying the bags can be done using a discharge spout, or (if you don’t need to use it again) just cutting a hole in a bottom corner. Click here to shop FIBC bulk bags.